Death of an ailing 96 year old would not be expected to push regular headlines into the obscurity of the middle pages yet the demise of Jyoti Basu has evoked memories from both admirers and detractors which dominate national dailies this Monday. Though thoughtful in nature these obituaries only serve the purpose of bolstering the belief that 'the man' would not be forgotten in a hurry - a welcome reassurance considering the quality of public memory being ruefully 'short' in our country. While regrets resound on "what could have been" had "the best Prime Minister India never had" had actually led the United Front government the spectrum of mass opinion never deny his rightful place as one of the most respected leaders the nation ever had. Much admired for his administrative prowess and ability to expedite consensus inside a party bound by Spartan principles his critics found his open Anglophilism and general insouciance for political opposition unacceptable. As children we grew up in Calcutta in times when the police were only heard of when they were bloodying their batons breaking up some opposition rally or the other. 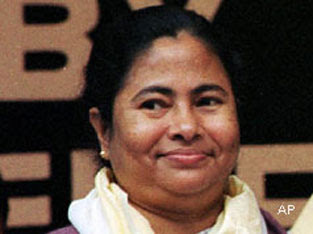 Mamata Banerjee, Basu's bete noire turned admirer, bore the brunt of such political arrogance on many occasions in that period. 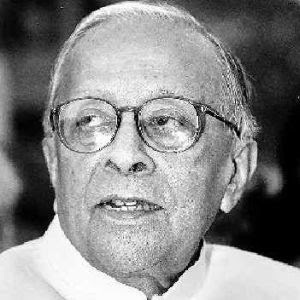 The image of Jyoti Basu which dominates most minds from our generation, growing up in the nineties, to be that of an old patriarch, reclusive in nature, reluctant in ushering revolution - the very plank that defined him in his prime. Still he strangely maintained that iron grip over proceedings in the Secretariat and the heart of the people who renewed his mandate in spite of vicious hand-wringing at many of his decisions. This generation still believe Bengal's unenviable skill at strangling industry is his legacy for us to bear. They willingly overlook the "land reforms movement" which installed Communists in the first place and line up arguments which make the "Comrades" look too power-drunk to have seen their own downfall coming. And not surprisingly Basu became the face of that unchallenged government over the years. But amidst all the frustrations one must be reminded that it was Basu who invited Telecom and IT industries to the state later taken up with gusto by Buddhadeb Bhattacharya, the present incumbent. His intentions were reformist in nature but with time his actions increasingly bore the seal of circumspection seen in aging patriarchs. A permanent status quo seemed to be the writ from the Writers'. Considering the hurdles Bhattacharya finds himself grappling with presently Basu's stand comes off as one of wise inertia in hindsight. May be his understanding of the very people he ruled prompted his decisions and made him the longest serving Chief Minister of any state ever. With the death of able organisers like Anil Biswas, Harkishen Singh Surjeet and now Jyoti Basu the present party leadership has some very big shoes to fill and going by their recent show at the hustings things can only spiral down from here. On the same note it seems poetic justice for someone like Prakash Karat who blocked Basu's way to the PM's post and now finds himself explaining every drubbing that his policies have ensued. Given the loaded possibility of the Communists falling in a heap in the coming 2011 Assembly Elections one cannot ignore the curious coincidence of the sun setting on the Hammer & Sickle Flag within a year of the last sunset in Jyoti Babu's long and illustrious life. Election-2009: Sign of Things to Come ? The picture has cleared and hopefully we are on course to having a strong, stable government at the Centre. As eventually proved I was jumping the gun when I put the UPA's tally at "220 odd" in my last post. They ended up with 261 and now need the support of just 11 members to stake their claim successfully. So much for the "hung house" noise and a "fractured mandate" fear. * In latest news I learn that the two raging bulls from UP, always at loggerheads in their state, have decided to support the UPA Govt. "unconditionally", of course for secularism's sake. Now if that's not funny I don't know a funnier joke. 1. 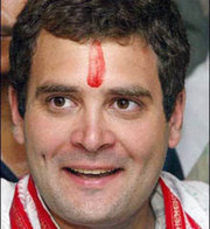 Rahul Gandhi's elevation to the top league of national politics has been formalized. H is decision to go alone in UP and Bihar has proved to be a "goldmine" for the Congress at the same time marginalizing the Lalu-Paswan-Mulayam sphere of influence. Failure in meeting adequate numbers in these states would have drawn flak, instead the prince-in-waiting has pulled off a great coup and the former allies are still smarting under it. The Congress after two decades of irrelevance has again become a force to reckon with in these two pivotal states which send no less than 120 members to the Lok Sabha. Though many see this is as his warming up to the top-job in time for 2014 and resent the subsequent throw back to dynastic politics I personally feel Rahul Gandhi should be a good bet at the helm as he has already earned his stripes - working for his constituency(Amethi) for the past 5 years, campaiging extensively for this election, proposing policy reforms within the party. Moreover young people have responded positively to his "youth inclusive" aam admi ka sipahi vision. Bringing the educated, responsive youth who are in tune with present challenges is a sea-change from the genteel gerontocracy we are so used to. If a single youth icon can inspire more like him to join politics that should be viewed as a welcome change than harp on his credentials, lineage and worst of all- his Spanish girlfriend. I can totally understand the foreboding that grips the swadeshi variants who resented a "foreign national" elevated to the PM's post in 2004 but at this moment of time all this is too much wistful thinking and little else. Our better sense must prevail and so should Junior Gandhi's in accepting the HRD or the I & B portfolio. "You won't have a report-card if you never sit for an exam" and managing a ministry for 5 years is his test for the taking. 2. The people have forcefully rejected the Left tactic of political arm-twisting to influence policy decisions at the Centre. They have had enough of their brand of "Zero Responsibility, Maximum Credit" non-participative brand of politics. But that is neither the sole reason nor the most significant one behind the brutal drubbing they were handed out at the hustings this election. For once, pressing local issues merged with a hitherto unseen wave of popular rage pent up for over a decade and erupted to drive them to the margins of political anonymity. In one single sweep Alimuddin Street and all its mandarins in their bubbles of arrogance were stunned to observe that bastion after bastion their posts had been breached and that too by a party it never deemed fit even to be a worthy adversary - the Trinamool Congress. In Bengal, where the sting will hurt for many years in the future, the Communists have faced their worst defeat till date. Land agitation in Singur and Nandigram, Rizwanur Rahman and Tasleema Nasreen cases being bungled all blended to yield the perfect poison for the apparatchiks. Mamata Banerjee became just the vessel for its delivery. Many people are convinced that Banerjee would have stormed Writer's Building had the State Assembly elections coincided with the Lok Sabha polls. Some are of a different opinion. They say they felt the need to vote for change only because they wanted the Communists to reform their attitude from that of unbearable arrogance which stems from assured vote banks and start to perform on the ground. Long has been their vice-like grip on every union in every field of work. Be it teachers, students, professors, workers, bankers, drivers - everyone figures somewhere in their long and distributed chain of dependence. The "organization" is so vast for its content and feared for its reach that practically "the party" runs the show everywhere - in every corridor in every office. People who grew up in such a system took all of it on their way but in the last four years acts of unchecked audacity by some of its leaders have antagonized the masses and the elite alike. From publicly insulting a sitting High Court judge to shameless pandering to a murderous mob of home-grown extremists they had done it all when elections came knocking at the doors. And everyone had their own score to settle by then. In a prolonged vacuum of opposition the TMC provided a mercurial leader who stood for little political sense but a lot of integrity and character. People voted for her in huge numbers but this only gives her a opportunity to perform and prove that she can actually don the Chief Minister's post in two years time. 2011 may not seem so close but it will surely be a very close battle considering the Communists pull up their socks in time. Otherwise history might just play lazy, go ahead and repeat itself. Meanwhile, the people will be watching. To keep them on their toes. * other trends might be appended to the post as and when memory surfaces and news emerge. - The Great Indian Poll Results. While trends in the first hour suggest disappointment for Lauh Purush Advani my heart goes out to 'the man who could not be PM'. Overshadowed by the more senior statesman in Vajpayee his career high point will now remain being the Deputy PM when in office and Leader of Opposition when out of it. For his dedication's sake I hoped he would be at helm this one time. But alas! Voters always have a different plan and how some live to rue it. On the other hand the results which give 220 odd seats to UPA in terms of present leads will encourage Congress to woo new allies to take them past the 272 mark. Celebrations are already underway at 10 Janpath according to reports. It is easier to bargain from a position of strength and the smaller parties will now feel the heat of bargaining season. Though most of them stand to gain substantially yet repeated parleys might force them to tone down the demands pitch. What will be interesting to watch now is how and who joins in to make for the rest of the requisite 52. Will it be the big three from the cow-belt known for their selective reverence for Madam? Will it be a impaired Left who will "hold the hand" in happiness? Or will it be Nitish-'The Suitable Boy from Bihar'-Kumar who will secure his state's "special" status by offering support to the "outstretched hand"? The picture will become clearer within an hour or two but whatever be the outcome the majority will heave a sigh of relief for a fractured mandate would have made the nation limp for five uncomfortable years. We will take anything but that with glee. I cast my maiden vote today. I won't exaggerate and say that it was a liberating experience or that it marked the initiation of my political relevance but somewhere inside it felt good to be exercising the franchise that makes us a part of a democracy. It felt that finally, after all these years I was an adult - now that I had a say in who represented us in the capital. In most parts of Calcutta, especially the Southern stretch of it that I hail from, "election day" is more of a community exercise. It felt like walking into the para pandal on Oshtomi morning to offer pushpanjoli - seeing all the kaku-kakimas, dada-boudis and distant protibeshis standing in the queue outside the local primary school. Smiling, waving to one another, filling each other in with the latest gossip - it hardly looked the "pitched battlefield" of two sworn rivals of the political arena. It showed that the smart-showers and Kalboishakhi over the past couple of days had felicitated this get-together to a large extent. People looked generally relaxed and unhurried. Though largely a Communist stronghold there was little coercing or pleading on show, just a little raise of a hand here and there followed by a nod of assurance. Persuasion was being played out in all its politeness just outside the booth. And one would take this any day over booth ransacking or manhandling of voters which is so rampant in many parts. Though I was asked a few times about the choice of my candidate by paratoto kakus I have known since birth I evaded giving a direct answer lest I be made to explain my choice in detail, all standing in a queue of considerable stretch, in front of the prying eyes of zealous party-workers and earnest looking army men. Worse, they might make me read their respective party manifestos before I am allowed to vote, I thought. But for all the questioning that I was subjected to I got even by drilling into the head of this kaku's son the mechanics of our great parliamentary system on my way back. By the look of it, he will be pestering his father to satiate his curiosity on the procedure of appointment of the Lok Sabha speaker for the next few days. I am no political activist. I sport no political affiliations. I exercised my right and to the best of my knowledge voted for "the lesser evil" on the EVM panel. I also weighed the political eventuality in case the candidate I voted for wins and his/her party does well elsewhere and how it would lend stability to a Govt. which can run its course in New Delhi. I just hope I have made the right choice. I hope others have made the same. I hope the coming five years do not stifle out the excitement I felt today in belonging to a system, a great one at that. I hope I get to vote again. That is how the harried poll-managers stationed in the state must be thinking after yesterdays violence stricken polling in Nandigram went underway. They must be genuinely itching to pack their bags and head home at the earliest given the politically charged atmosphere in these hamlets of industrial disuse. Singur being the twin brother was uncharacteristically "quiet" on poll-day which further stokes fears of a bloodbath in the event of electoral setback for one party or the other when the results are declared. If Nandigram was any indication the later phase of polling will see a re-run of the "There will be blood"-routine in many other parts of the state. Political opponents are keeping their fingers crossed and bombs handy for any eventuality. If the CPI(M) wins there will be, in all possibility, a political witch-hunt unseen in its ferocity in rural Bengal or for that matter anywhere in the country. And in case the Trinamool-Congress combine wrest the initiative, the Left will have finally ceded ground in one of their strongest bastions. Whatever be the outcome there will not be any graceful losers this time around for too much is at stake. This morning, all newspapers report an impressive 75% voter turn-out in the state - beating the national average by a good margin. In other states it would have meant the anti-incumbency factor at work but not here. 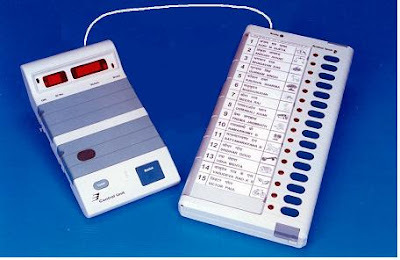 Though the Trinamool Congress seems certain of partially stalling the CPI(M) 's vaunted voting-machinery one cannot be so sure till the results come out on the 16th. Come 13th and it will be Kolkata's turn to make it count and I hope people come out in large numbers to vote - that the bangali bhodrolok finally overcomes his ennui and 'make his mark' early in the morning than let the mid-day sun intimidate him into inaction (like always). In other news, I yesterday heard a seasoned Leftist hollering about, among their other achievements, how they catapulted West Bengal to the No.1 spot in both agriculture and industry. The jaywalker in me balked at such misinformation in the name of campaigning but the sight of hundreds of others turning a deaf ear to such pre-poll bragging quickly made me realize how the city dweller ignores all that's irrelevant and potentially dilatory to his plans of reaching home early. Politics can wait till one returns home and sits around a fresh brew of tea and friends when it can gladly resurface to make for a round of entertaining and informative political adda. Not before that should it figure in their minds.